Key Verse: Verse 8 - "All thy garments smell of myrrh, and aloes, and cassia, out of the ivory palaces, whereby they have made thee glad." The cassia tree grows ten to fifteen meters tall. It has grayish bark and elongated leaves that are ten to fifteen centimeters long and reddish in color. Cassia is a close relative to the cinnamon. Did you know that most of the spice sold as cinnamon in the United States and Canada is actually cassia? Cassia is mentioned in the Bible on three occasions. While it is a tree or plant that grows in the Mediterranean region, it is primarily grown and harvested today in China and Viet Nam. 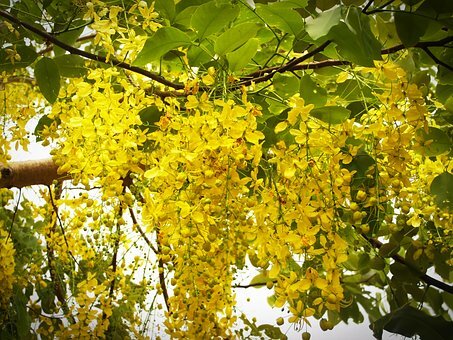 The cassia tree is associated with a sweet smell and is symbolic of righteousness (Psalm 45:7). The other day I jumped in my car and was heading to make a visit at the hospital. As I sat down in the car seat, I thought I smelled – well, a not-so-pleasant odor. I looked around but I could not see anything that would be causing such a stench. Eventually I became used to the odor, and it did not bother me anymore until I got out of the car and walked in the fresh air and went into the hospital. When I came back and got back in the car, there was again a distinct odor. This went on for a couple of days until eventually I could no longer take it. I began an all-out search for the culprit causing such a horrendous smell. Finally, I saw it! There it was – a baby bottle filled with milk (sour, corroded milk). It looked and smelled as if - well, you get the idea. Not only did I get rid of the bottle, I put one of those sweet-smelling car fresheners in my car. You see, it was not enough to simply put a car freshener in the car; I had to first get rid of the cause of the odor. When we get rid of sin and replace it with that sweet smell of righteousness, our heart can then produce a sweet smell again. So the next time you think of cassia, think of the sweet fragrance of righteousness. ✞ Get rid of the sin in your life and replace it with some cassia, the smell of righteousness.